This documentation will show you how to take any ViralSweep sweepstakes template and integrate it into your Volusion site. These steps will show you how to integrate the full page giveaway style into your Volusion site. In order for the full page to properly function on Volusion, you will need to add the code to a blank HTML file and upload it via FTP. This file will not contain your site template such as your navigation or footer. Skip to the section for integrating the widget if you want your site template to display around the giveaway. Navigate to My Volusion and login. Once logged in, on the left hand side click 'Manage FTP'. If you already have an FTP account, your information will be displayed. If you do not have an FTP account, you need to create one in order to get your username and password. Just click the 'ADD' button and then click save to add a new FTP account. Now you will want to connect to your site via FTP. There are a variety of programs you may be using to connect via FTP, but below is some information on how to do this, provided by Volusion. Navigate to: vspfiles > templates > 240 [you need to choose the proper template file; for this demo ours is 240]. 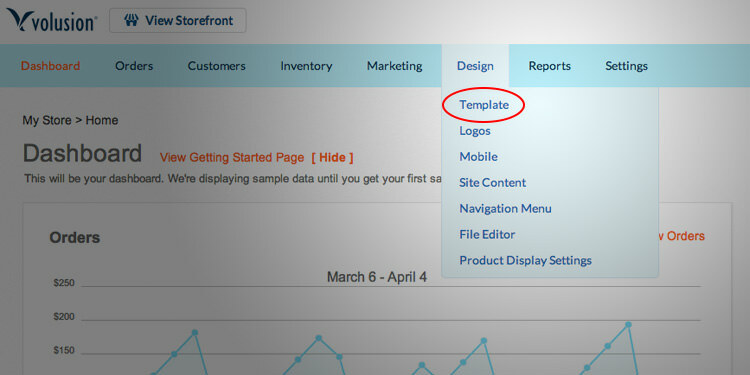 To find which template you are using, login to your Volusion Admin panel and click Design > Template > Edit HTML and on the right side you will see 'Template files' with the applicable number. You simply need to change 'yoursite.com' to your own URL, then change '240' to your template number, then change 'giveaway.html' to the name of the file you uploaded. Once you visit that URL, you should see the full page giveaway. These steps will show you how to integrate the widget into your Volusion site. Navigate to Design > Site Content. Now click on 'View List' on the right side. Then click the '+ Add' button that appears on the left side. Under category ID select 'Other Articles'. Now click the button under the Article Body section. This is the HTML button that will allow us to paste in our code. 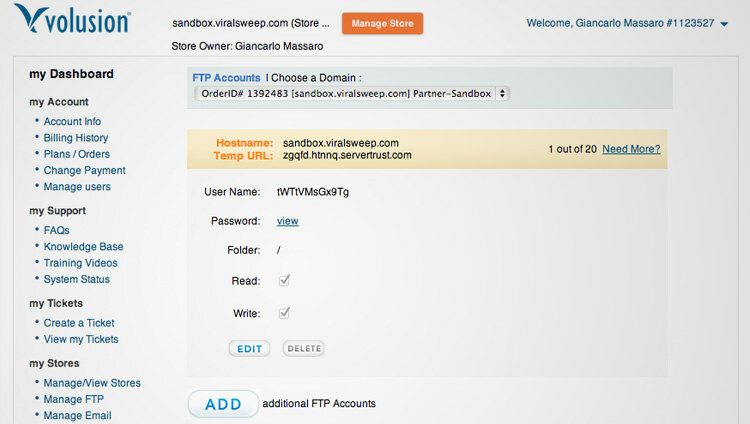 Paste the ViralSweep widget code in the box and click the 'Save' button. Click the 'View Live' button to preview the page and you will see the widget on your page. Feel free to come back and edit this page to add a title and other text. These steps will show you how to integrate the lightbox into your Volusion site. Navigate to Design > Template. 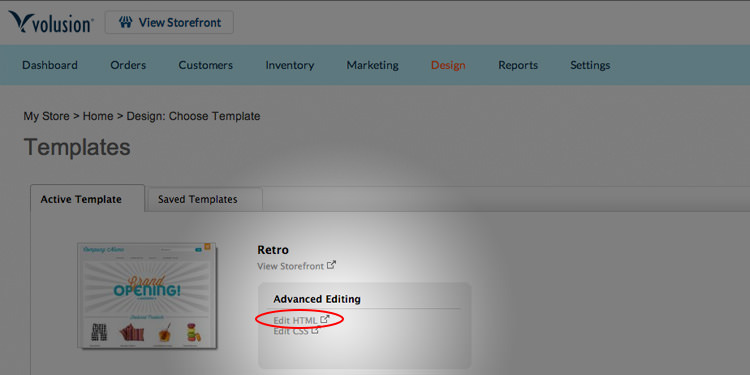 Now click on 'Edit HTML'. You should now be in the file editor. 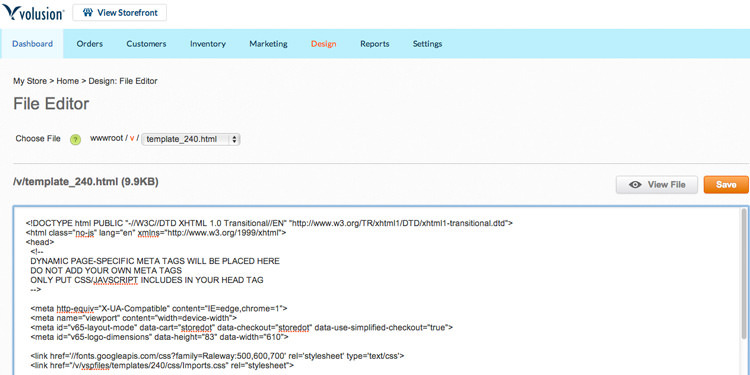 Scroll to the bottom of the template source code and paste in your ViralSweep lightbox code right above the closing tag. Click save. Navigate to your site and you should see the lightbox. If you've added the lightbox code and you are not seeing it when you view the page, it may be because you've already seen the lightbox previously. The lightbox will place a cookie and once you've seen it, it won't display again. To view it, simply open a different browser or view the page in private browsing or incognito mode and you will see it. Still having trouble with adding your sweepstakes to Volusion? Simply click the support or live chat icon to get in touch with us.